I had the pleasure of reviewing an item of my choice from The Orb Factory. Actually it was my six year old daughter, Bella and I that did the review, because The Orb Factory sells sticky mosaic kits for children to put together. There were so many choices it was so hard to pick just one item! 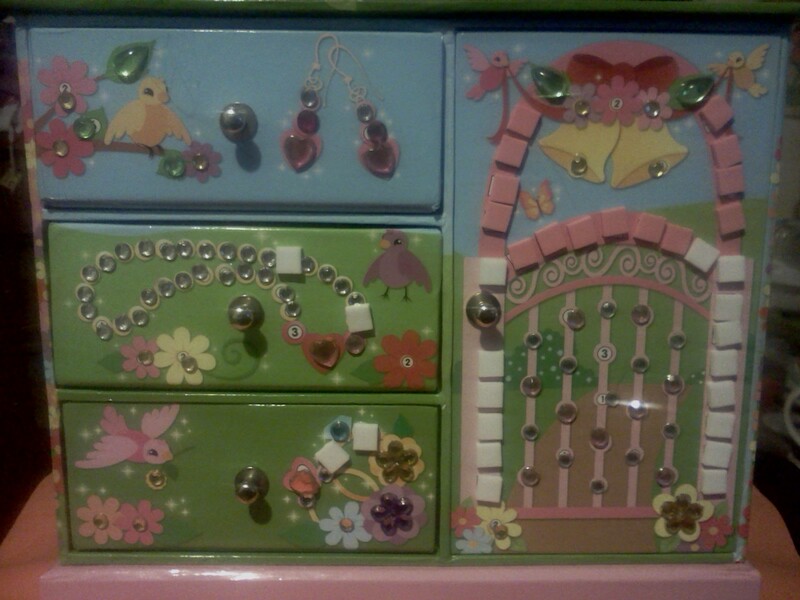 my daughter Bella was in need of a jewelry box. Our never ending search for the perfect jewelry box seemed hopeless until The Orb Factory. 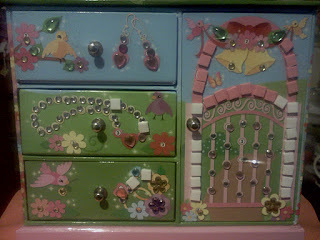 Bella had instantly fallen in love with their jewelry box, Happily Ever After. She was so excited I had to hear, "Is it here yet, Mommy?" until it got here, which wasn't very long at all. Once we received the package and I opened it, she ran off with her box and it's contents, she didn't even need my help to put it together! The Orb Factory carries a variety of mosaic kits for boys and girls alike. I can't even begin to tell you all the options that are available, but I'll try! They have notebooks, Curiosity kits, Stick 'n Style items, room decor, sports, and Spakle Up kits. The list goes on and on with what they have. The kits are made of foam or jewel tiles that are peel and stick. 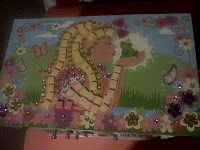 It's a fun, easy way to make the mosaic pieces of art. Children as young as three can learn to do the mosaic art with larger pieces in the Pre-school Fun kits. This is why I say there are so many options. I really like The Orb Factory and all they offer. This was honestly the first kit my daughter has ever received that she was able to complete on her own with no frustration or a crying meltdown. 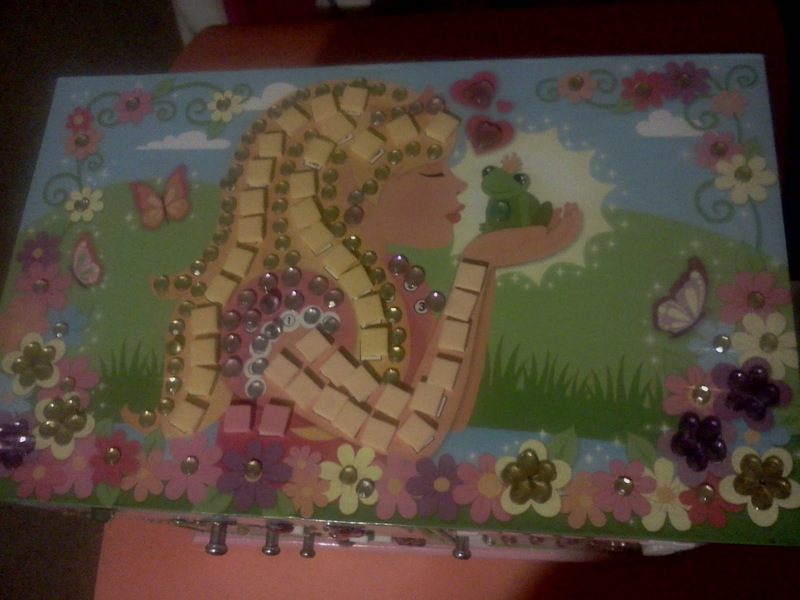 The pictures on her jewelry box were easy to match up with the foam and jewel tiles, she especially loves the bling that the jewels give. I also like how proud she is of her accomplishment, she now uses it daily, it's not just for jewelry for her it's her box for all things special to her. A big THANK YOU to The Orb Factory!! The Orb Factory has been generously offered the chance to win a Orb Kit of your own!